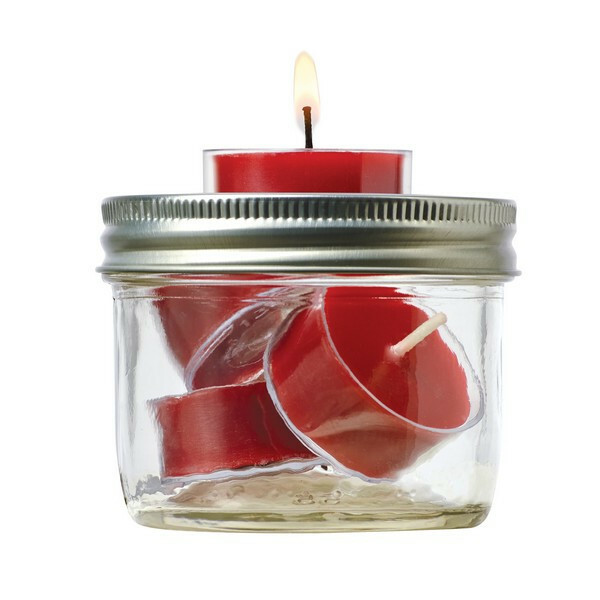 JarWare's Tealight Candle Holder converts a regular mouth Mason or canning jar into a tealight holder and storage container all in one. Space saving design. Use our tealight holder for table top settings, create ambience, or keep emergency lighting handy in non electric situations. 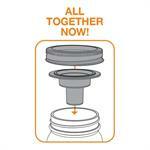 Made of BPA Free plastic that is both food and dishwasher safe. Fits 8 ounce and 16 ounce Mason jars best. Our Mason Jar to Oil Lamp Burner comes with #2 Antique brass plated burner and 2 3/4" I.D. brass plated collar. The Mason Jar to Oil Lamp Burner accepts a 3" chimney and will screw onto any 2 3/4" mason jar new or old. Using a flower frog to arrange your cut flowers prevents the flowers from falling or overlapping, and provides a simple and effective way to keep the stems upright and the blossoms separated. 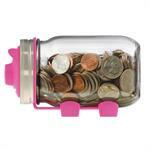 Transform a 16 ounce Mason Jar into an adorable piggy bank with our cute, pink Piggy Bank Adapter! A fun DIY project! Convert a Mason canning jar to a lamp in seconds. Decorate the Mason jar inside or out. 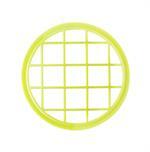 Create a chalkboard surface on glass or wood. 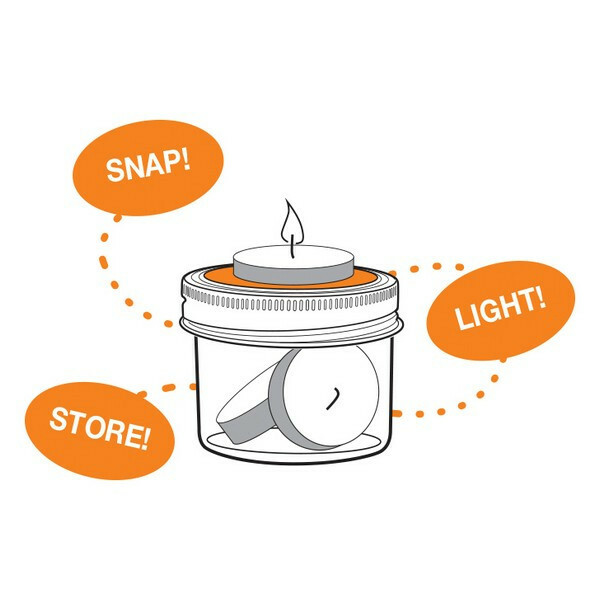 Great for making labels on your Mason or canning jar projects. 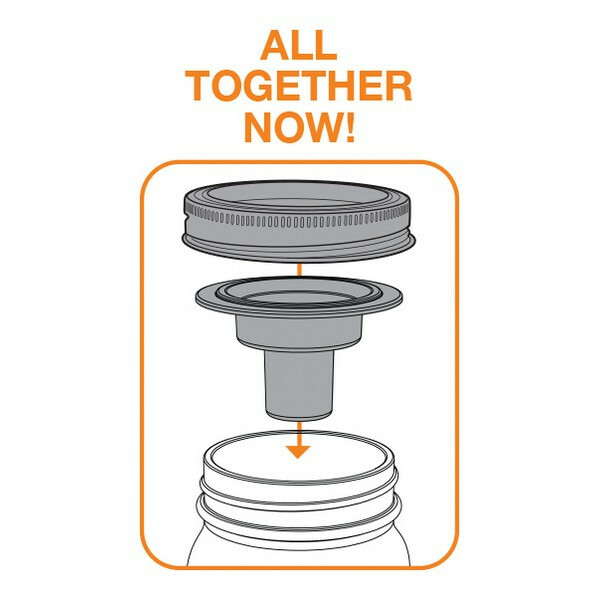 Works on all glass jar types! 4 ounce bottle of chalkboard paint. Transform a standard glass mason jar into a work of art with TransforMason's frosted glass paint. 4 ounce bottle.